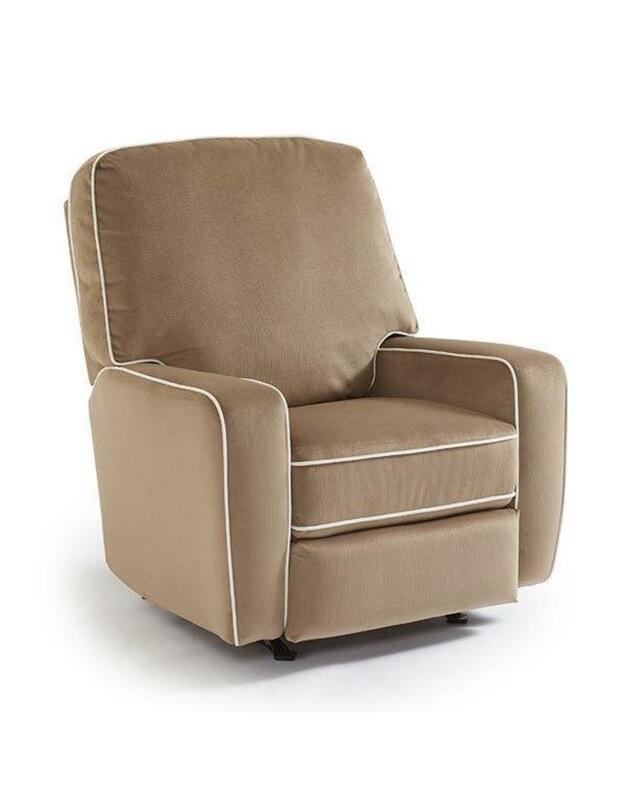 Style extends from the straight lines of the back to the straight, extra cushioned arms that are highlighted with contrasting cording. Comfort is not sacrificed by style. 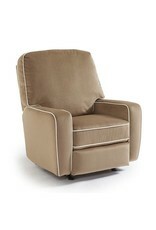 With a hidden inside handle, this swivel glider reclines to a full layout position.